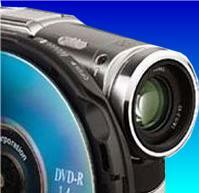 Mini Handycam Sony DVD video recovery. Camera fell open unable to finalise disk. If you need a Mini Handycam Sony DVD video recovery. Camera fell open unable to finalise disk. service, then contact our friendly company. Thank You very much for good news, we are endlessly happy, because it was from significant trip to Baikal lake! :DI made the payment just now! Thanks and best wishes.